Chazal teach us that on Rosh Hashana, the most important thing to focus on is Kabbalas Ol Malchus Shamayim — We must dedicate ourselves to revealing Hashem’s Kingship in this world. 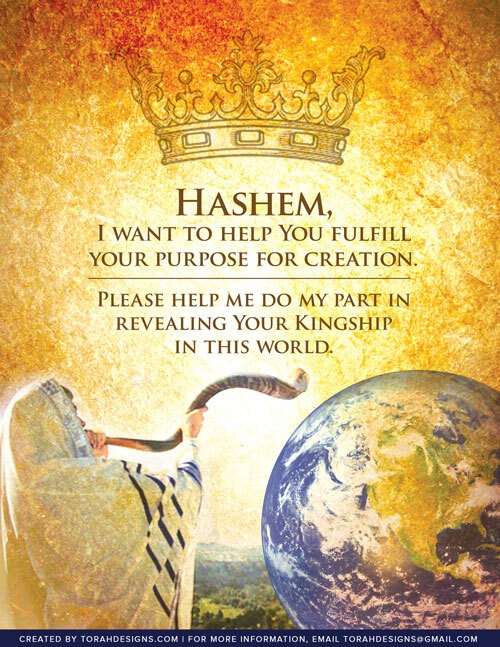 The way to do that is by committing ourselves to try our best to fulfill Hashem’s Will. When we focus on this aspiration during shofar blowing, this is the best way to earn a favorable judgement on our Yom HaDin! For a deeper explanation, click here. 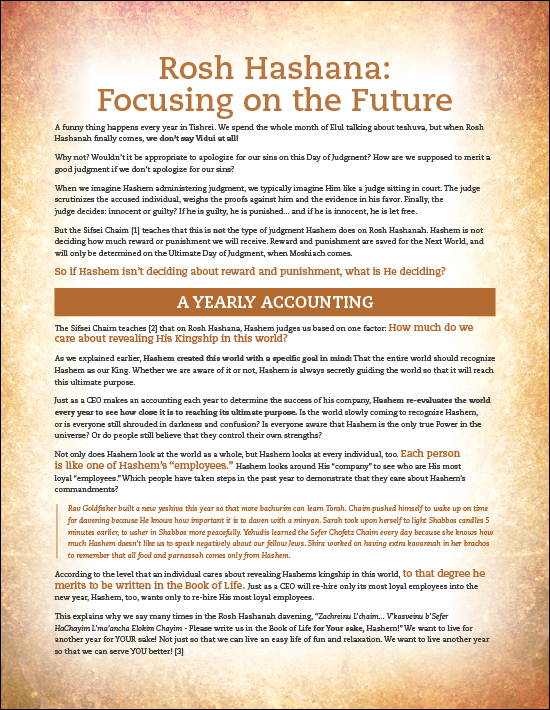 Print out the poster and bookmark below as a reminder of what to think about during shofar blowing on Rosh Hashanah and Yom Kippur!